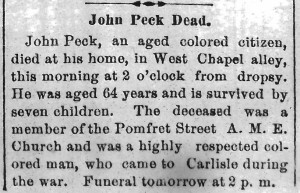 “John Peck Dead,” Carlisle (PA) Herald, September 25, 1895, p. 4: 2. 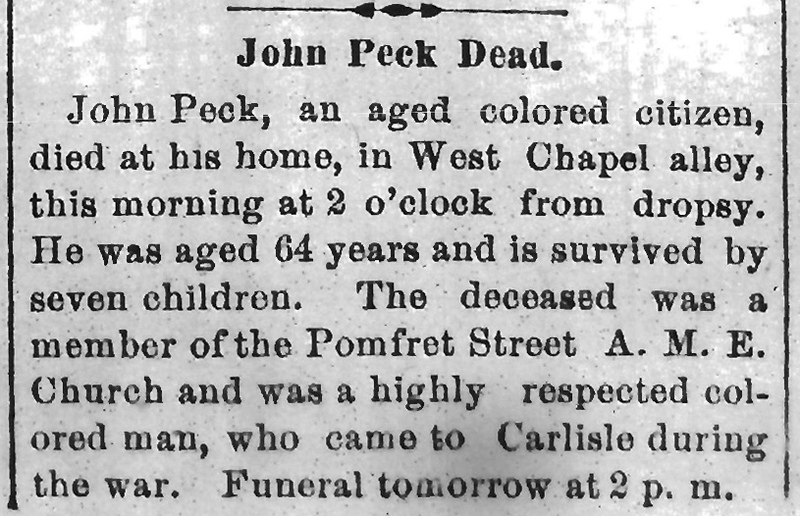 John Peck, an aged colored citizen, died at his home, in West Chapel alley, this morning at 2 o’clock from dropsy. He was aged 64 years and is survived by seven children. The deceased was a member of the Pomfret Street A. M. E. Church and was a highly respected colored man, who came to Carlisle during the war. Funeral tomorrow at 2 p.m.